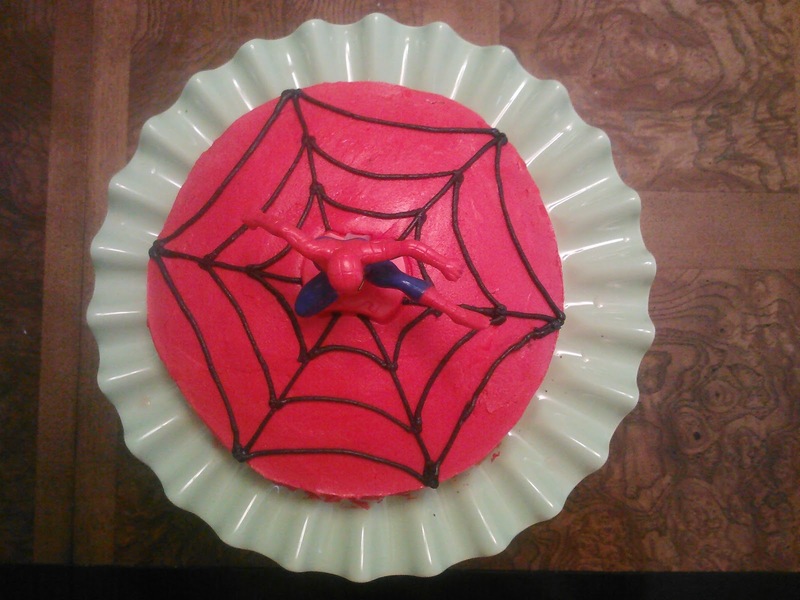 Making this Spiderman Cake was simple and looked great. 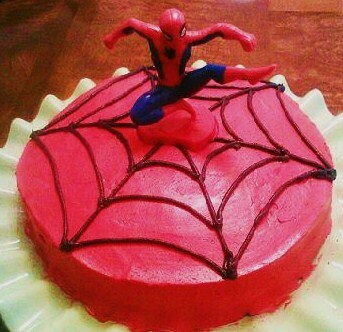 I bought the Spider man figure at a bakery for a few dollars and I'll be reusing it many times. All I needed to do was add red food coloring to it. Hi, I used a Wilton cake decorating tip, Wilton frosting bag and Wilton coupler. I believe the tip was a #2. 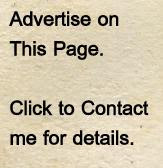 You can get these at most any craft store and they are pretty easy to use. Ps... I have found the best red food coloring is just the cheap food coloring from the grocery store. The wilton food coloring gave the frosting a bad taste.